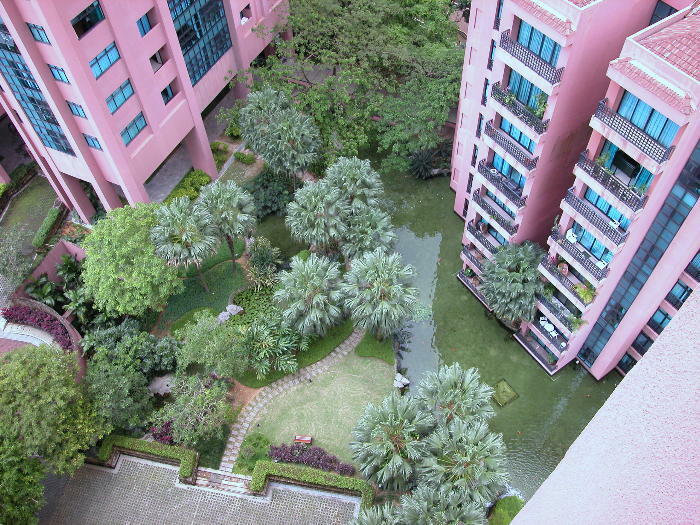 23, 25, 27 Leonie Hill, 10-minute walk Orchard or Somerset subway and Orchard Road. 99 year leasehold. Completed around 1993. 4-bedroom (1-level, high-rise blocks x 2). 236 - 336 sq. m.
4-bedroom maisonette (2-levels, low-rise block x 1). 6-bedroom Penthouse 600 sq. m (6,500 sq. ft). Upgrading of facilities done in 2001. Squash court, sauna, playground, barbecue pits, putting green. Huge landscaped waterfall koi pond. Audio-visual intercom system. Big swimming pool The huge koi pond with cascading waterfalls and lush landscaping make this condo extremely tranquil-looking and attractive. Great location. 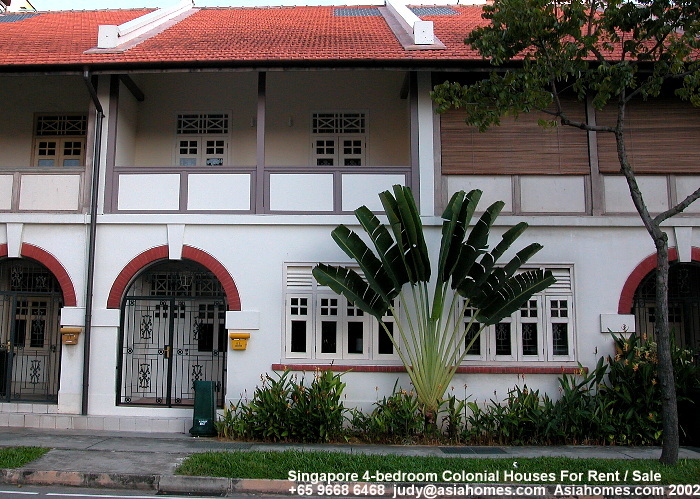 A 10-minute walk to Orchard Road and 2 subways (Orchard & Somerset) and many shopping malls like the Takashimaya Shopping Centre and Cold Storage supermarkets in Orchard Road and the Great World City. 2 bedrooms have attached bathrooms. However, the toilet bowls in 2 bathrooms are blue and pink and most owners have not changed to the white ones seen in modern condos. These dated bath tubs affect rentability adversely. Outside the CBD (Central Business District) Restricted Zone's toll gate and therefore no need to pay electronic tolls per entry. 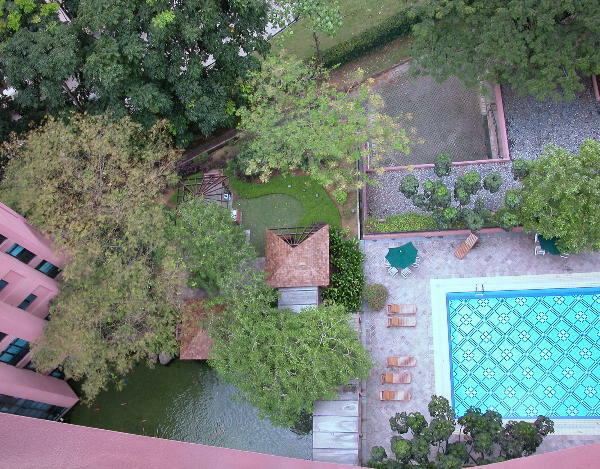 Big koi pond, luxuriant landscaped gardens, squash court and a resort type ambience as well as other qualities have had attracted a large expatriate community. Many units have blocked views. Central air conditioners need more attention as they are much harder for the Landlord to maintain when they leak water. Many Owners have had replaced with split unit air conditioners. The kitchen window faces a blank wall of another apartment in some units instead of views of trees and buildings and many wives don't like this. The balcony is too small for most units. Some do not have balconies. Living and dining - marble; bedrooms - parquet. Small balcony, central air conditioning with individual room control. White long bath but no separate shower cubicle in the master bedroom. Split-level living and dining areas. 99-year leasehold. An excellent investment due to the great location. Great demand by Caucasian tenants. Landlord: Gaudy apartment colours rent out slower. "I am waiting for the Tenant's wishes before I renovate," said the Landlady of this 16th floor Paterson Tower to Asia USA Realty's American client. The master bedroom's bathroom has new but orange pink long baths and sink set against shiny green and blue mosaic tiled walls. Mosaic tiles are rarely seen in new condos. The ventilation holes at the top end of the walls indicate that the apartment must be more than 20 years old. One room still had the window unit air conditioning and is full of junk items. Other bathrooms still had the old mosaic tiles. Living room's grey-white marble tiles had deep brown stains. Windows could not be opened. Peeling of formica covering of the study desk in one room. It is extremely costly to re-model an old apartment. Try to use pastel colours, white bathroom accessories like white long baths and water closets and you will find it easier to attract tenants. Gaudy colours are not appropriate. Long baths, basins and toilet bowls are snow white in the 1999/2001 new condos. No more blue or maroon coloured ones. The window unit air conditioners are seldom seen even in older renovated condos. The maid's bathroom still has squatting toilet bowls in some new condos like The Anchorage but you must not install one. If you are asking for $7,000 rental, please ensure you have the high quality finishes. 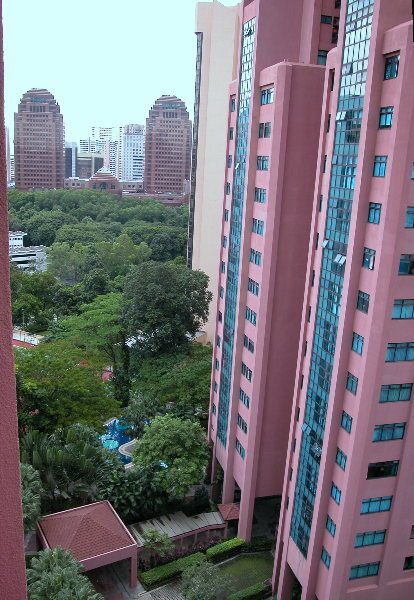 Two years ago, there wasn't much choice in the Orchard Road area, but now, there are too many new condos. Many owners do not know how to get the colours right. With spacious bedrooms and living rooms as an advantage, older condos such as the Paterson Tower will rent out easily but the rent will be at a discount. In this case study, it is difficult for prospective tenants to "wait" for the outcome of your renovations to rent your place. They prefer to see what they get rather than anticipate. 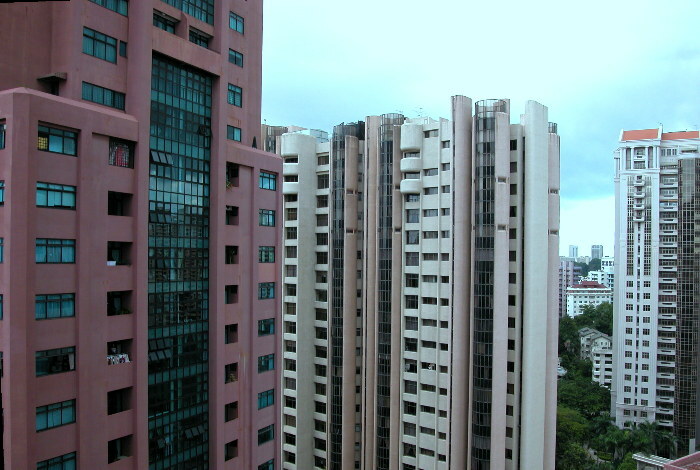 Therefore, such units will find it hard to get a good rent. If the rent is below market rate or the prospect is fixated on that condo and yours is the only one in the block, some tenants don't mind taking the risk that you will provide a good renovation.